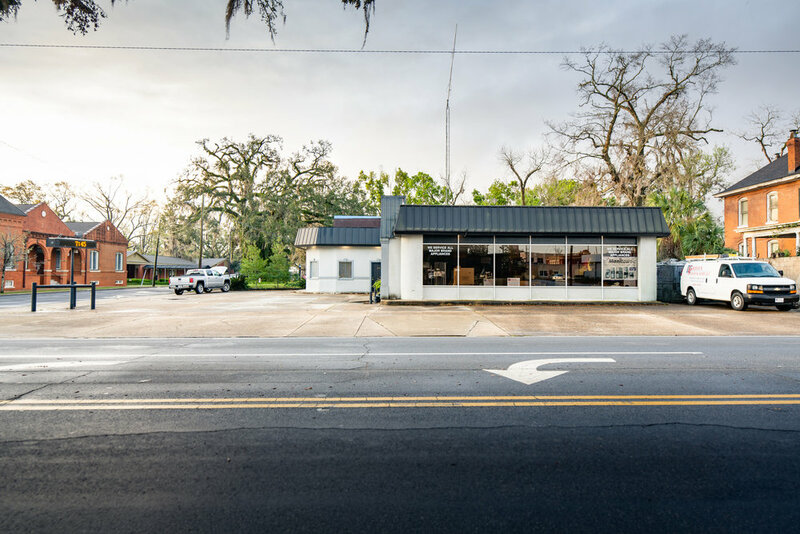 118 E Shotwell Bainbridge, GA - High traffic / visibility corner location with on-site parking. Located at the gateway to Bainbridge Georgia's central business district ( CBD ) but doesn't have the use restrictions the CBD imposes. Competitively priced based on recent sales of nearby properties. This property is a near turn key operation. Come by or call for more information on recent comp sales and to set up your private showing. Well appointed interior that features a spacious show room with a wall of glass display windows facing busy Shotwell St. Private office and bathroom with separate outside entrance. Sales counters and a book keepers office are in place. The rear of the building has plenty of storage as well as another bathroom and a small kitchenette for employees. For more information and your private tour contact Mills Brock 229-416-6136 or any of the agents at 3 Rivers Realty.